Drink for a good cause this Easter Sunday! 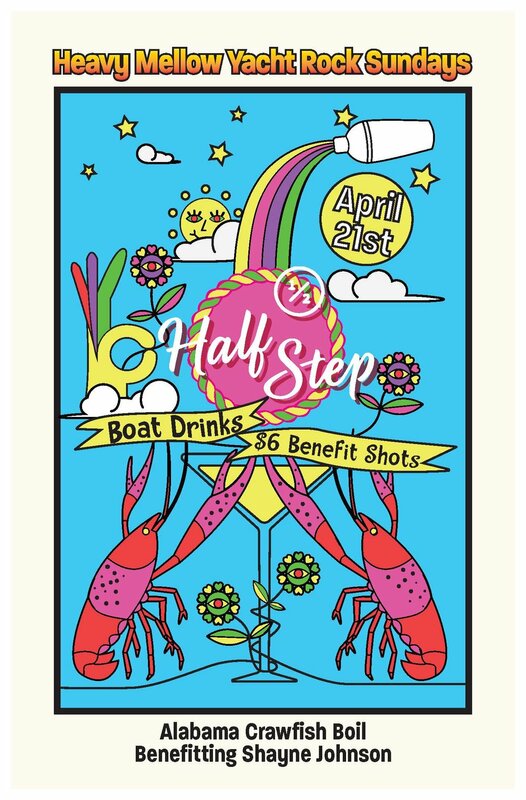 Join us on Sunday, April 21st for an Alabama-style crawfish boil, Yacht Rock from Heavy Mellow from 5pm to 8pm, boat drinks, and $6 benefit shots. We will be accepting donations for the boil to raise money for Shayne Johnson and her fight against cancer.